Sorry, discontinued. 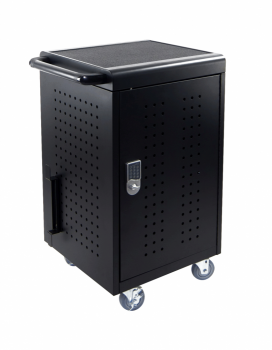 See the Luxor 30 Tablet/Chromebook Computer Charging Cart - LLTM30-B as its replacement. 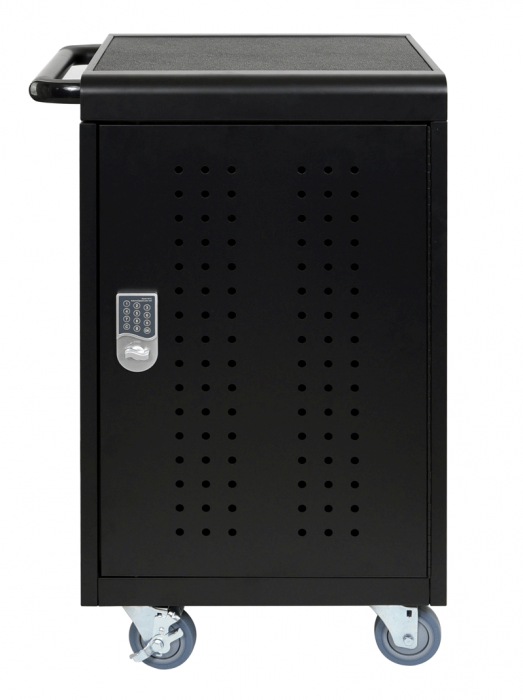 LLTM30-B-KP charging cart is the most efficient way to charge and secure your tablets(not included), perfect for schools, libraries, and especially useful in any IT environment. 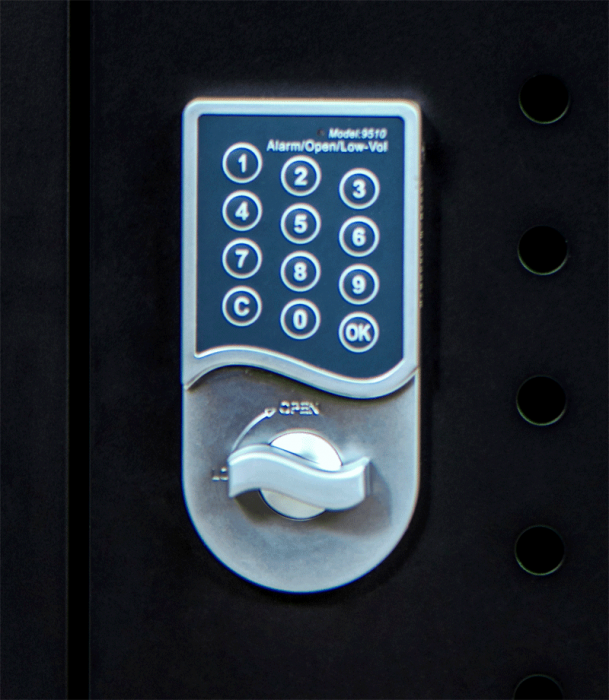 The Keypad locking system is quick and easy to program just set up a password and your ready to go! Very little setup required. 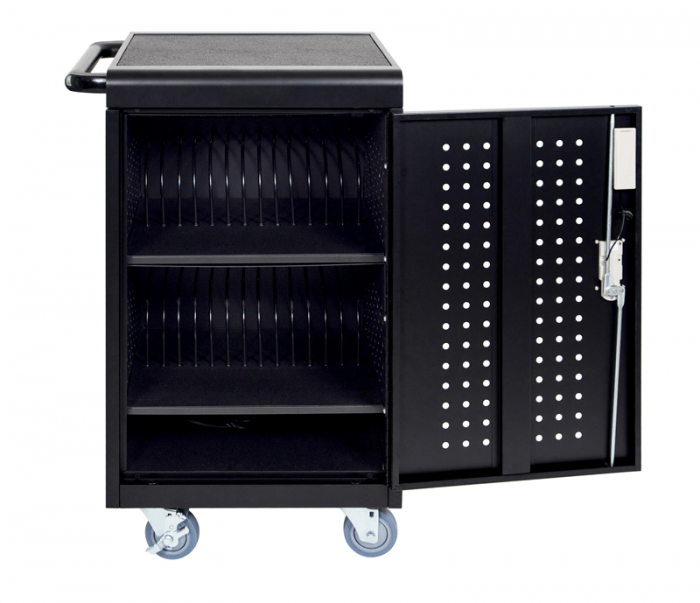 Durable 4″ ball bearing casters, two with locking brakes, and long-lasting treads help the cart roll smoothly and handle heavy loads. Utilize the new side cord-wrap and interior clips to keep cords organized. 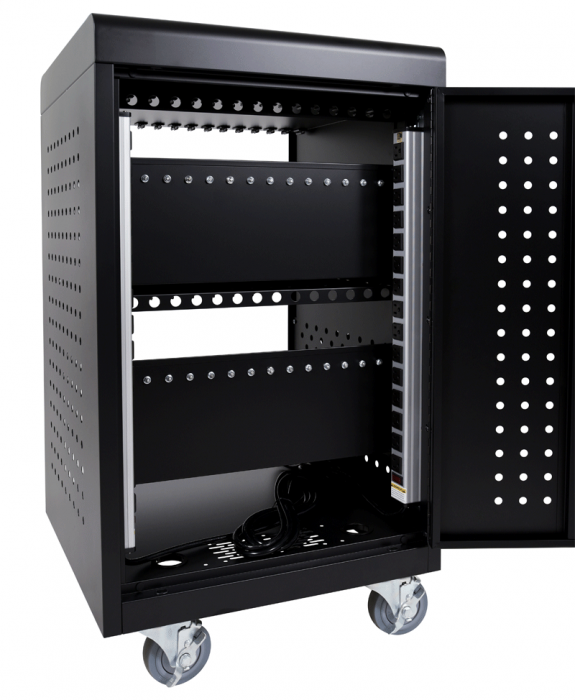 The two 15-outlet vertical electric power strips enable ongoing charging while also conserving space. 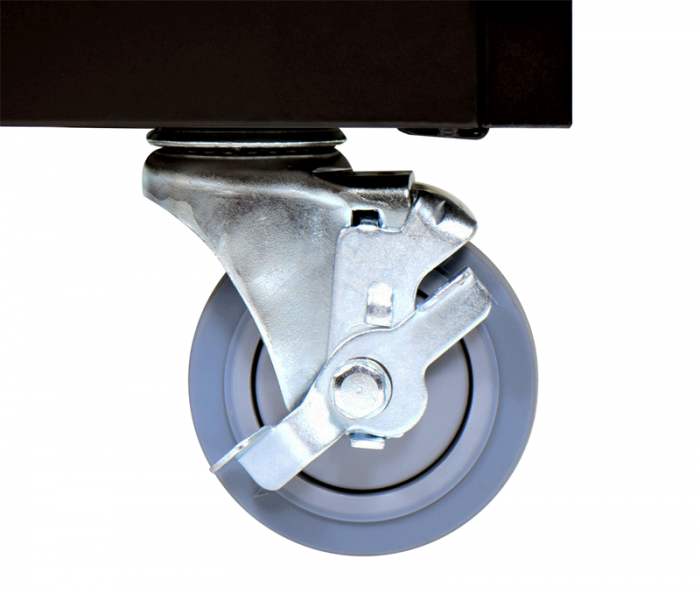 Four non-marring 4″ casters, two with locking brakes, smoothly handle heavy loads.